When it comes to skin, health and beauty are interconnected. For the most part, healthy skin is beautiful, and beautiful skin is healthy. But when it comes to whitening soaps, the choice can be overwhelming. Good thing I discovered Mestiza soap and met the brilliant people behind this amazing product who helped me select the best soap for my skin. 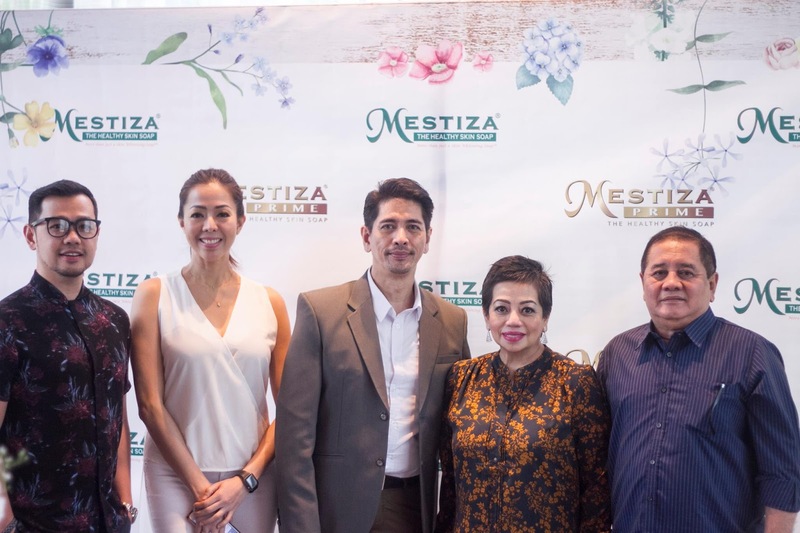 Last September 19, 2018, MESTIZA, the healthy skin soap, treated some of Manila's top beauty bloggers & influencers for an intimate lunch at Shang Salcedo Place in Makati. 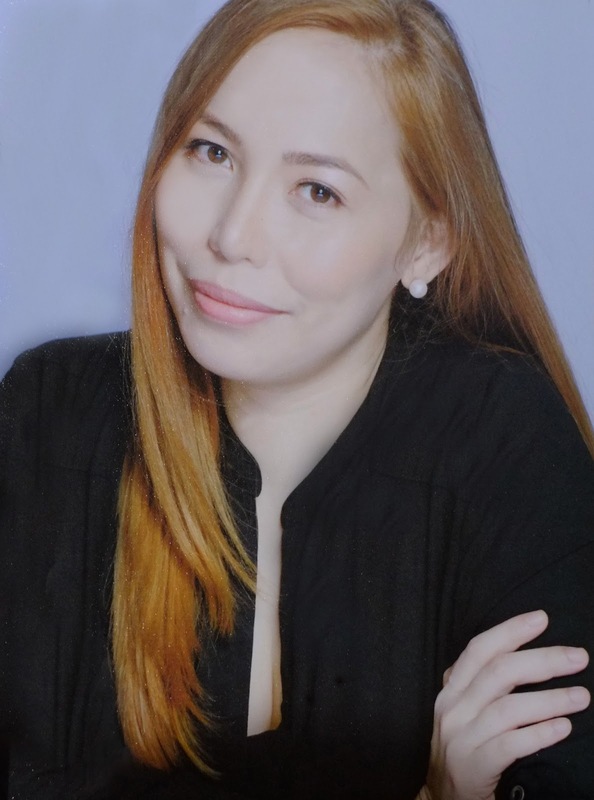 Mike Maglipon Marketing director of EMB Natures, Cathy Maglipon, Emi Perez COO Organique Skincare Inc., Ms Elizabeth Bacani Founder EMB Natures. We had a little chat with Ms. Elizabeth Bacani, CEO of EMB Natures, and the whole Mestiza Soap team who prepared an actual demonstration of soap mixing. We also learned how Mestiza soaps are made. I especially love the special care and attention they put to the ingredients to make sure that our skin is, well, beautiful and healthy! 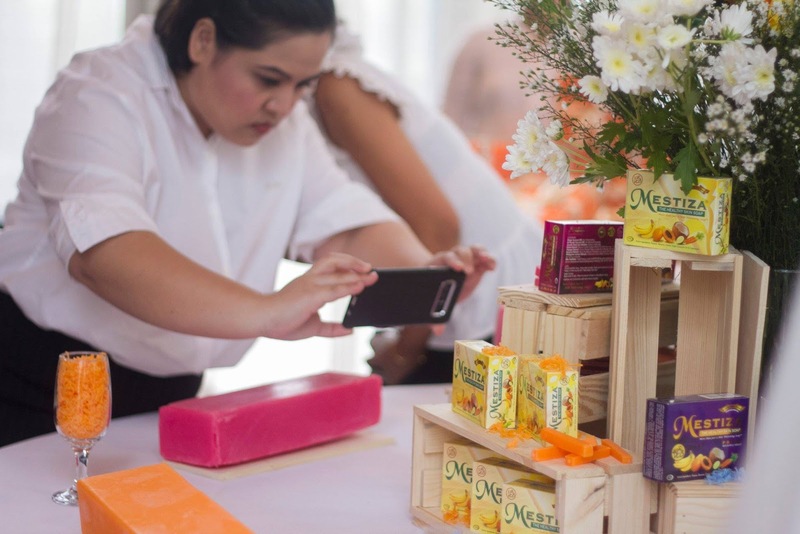 We were able to try the original Mestiza soap and Mestiza Prime variants at the wonderful display of soap bars during the Mestiza's Au Naturale day. 1. It's an all natural handmade and cold processed soap, which means it's the only soap in the market that is purely made with all natural ingredients and has the highest VCO content. It is made from natural ingredients like papaya, banana, carrot, calamansi (Philippine Lemon) & 33% Virgin Coconut Oil. 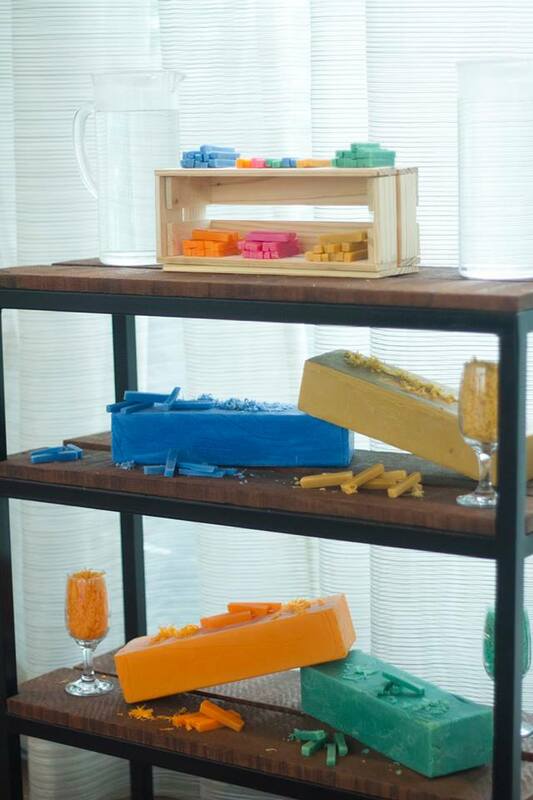 Remember, all natural soaps can save your skin from the harsh effects of chemicals, and are better than chemically engineered soaps! 2. 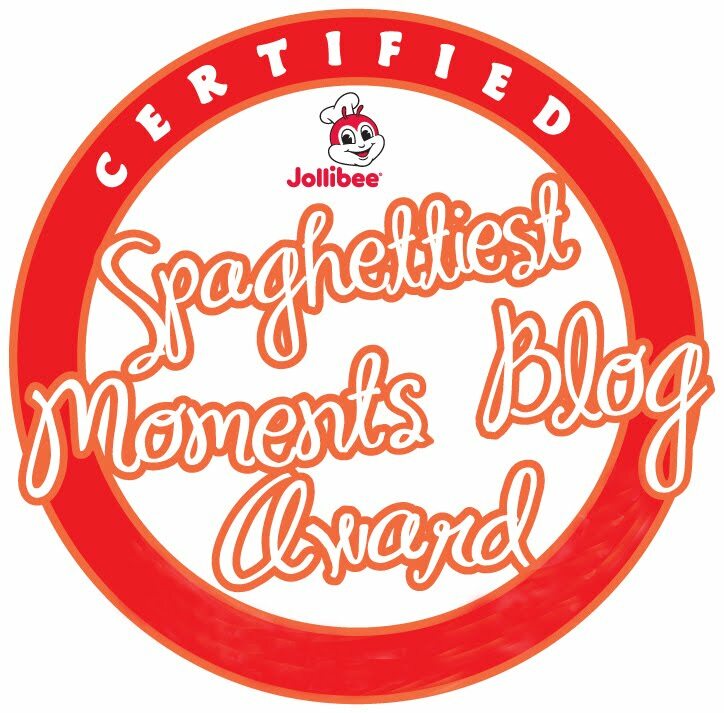 It is proudly Filipino made, that is successfully competing against big, international brands stacked along your grocery aisle. Seriously, it's about time we embrace who we truly are as a Filipina, that is by loving what is local and what is genuinely ours. 3. Mestiza soap is not only a beauty soap but can also be used as medicinal soap! It contains the highest VCO content in the market, and it has moisturizing properties that keeps your skin looking moisturized 24/7. Coconut oil is used in many natural beauty products, and for good reason. It's naturally antibacterial and antifungal, an excellent moisturizer, and can penetrate the skin better than other oils. 4. Mestiza Prime line, which contains 40% Extra Premium VCO, has four variants to suit every skin type. We are born with different skin types and therefore require specific care. In order to give your skin the care it needs each day, you need to be able to recognize your skin type, fully understand the needs and use the right products for that skin type. Prime Bountiful Violet for normal to dry skin. It contains Lavender Fragrance Oil. Prime Green Serenity Soap for oily skin. It contains Green Apple Fragrance Oil. Scarlet Rose Soap for normal to oily skin. It contains Herbal Essence Fragrance Oil. Earth Brown Soap for dry skin. It contains Patchouli Fragrance Oil. 5. Safe to use, even for babies. Although it should not be applied on baby's face, because their face is super sensitive. Also, if you're gonna use it, mild stinging, and skin breakout may happen during the first few days of usage. BUT don't panic, it's organic! Just continue using the soap to achieve healthy-looking skin. 6. Mestiza Healthy Skin Soap Original is affordably priced at 53.00 pesos SRP, while the Mestiza Prime is 89.00 pesos SRP. 7. Not only it is safe and affordable, it simply works! The results? Softer, smoother, whiter, unblemished, and even-toned skin. You have to try it to believe it! If you want a healthy and beautiful skin, Mestiza Soap is perfect for you! 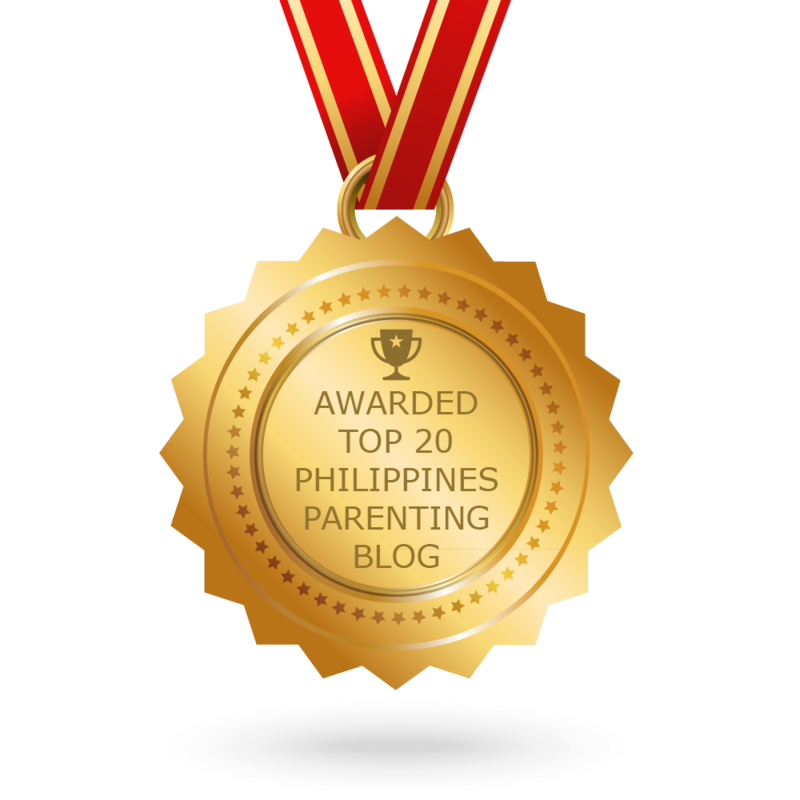 It's available in all Mercury Drug stores, Robinsons Supermarket, Puregold, Gaisano, Watsons, Ever Gotesco Supermarket, and Rustans Supermarket. 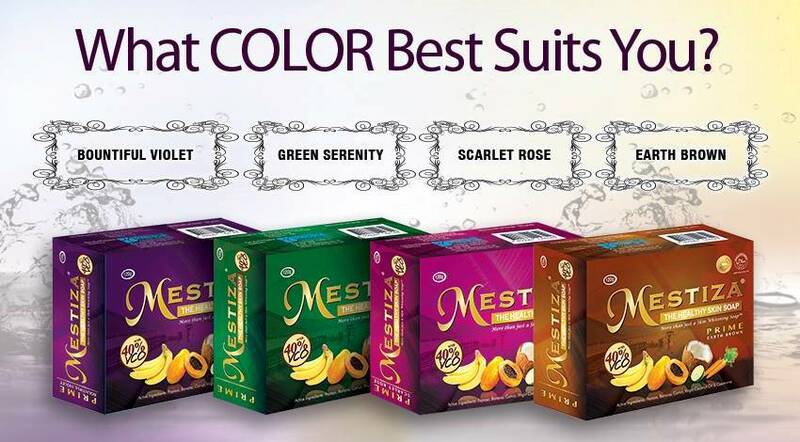 To know more about Mestiza Soap, you can like their Facebook page here. You can also follow them on Instagram, at @mestizaph or you can check out the hashtags #HealthySkinSoap #MestizaPh #MestizaSoap on social media.